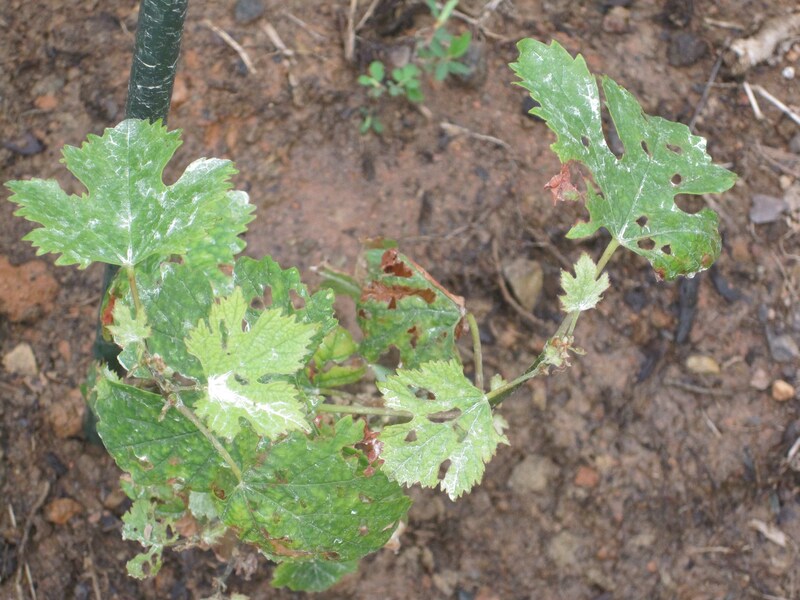 Those of you who have been following this blog know that I recently offered some unkind words about grow tubes, which many vineyards use to nurse along young vines. My criticism was based partly on research and partly on personal experience. 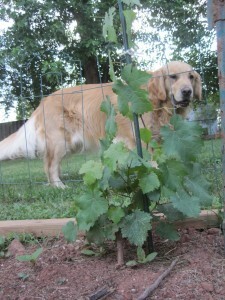 The Nelson vineyard vines, (do seven vines make a vineyard?) after removal of the tubes, leave a lot to be desired. As I recounted, we had been told in one vineyard management class to use grow tubes, and then, in another, to get them off the vines post-haste. We had two points of reference. The Fairfax vines (all seven of them) seem to be flourishing, perhaps because Phoenix, the Vineyard Dog, stands guard over them. doubt welcomed by farmers raising soy or corn, overly aggressive vines produce low-quality fruit. We want the vigor to go to the grapes, not the vines. Be that as it may, the Fairfax vines appear strong and healthy. By contrast, the vines on our Nelson County property, which were planted with the protective shelter of grow tubes, seem, well, frail. They have holes in the leaves. Lots of holes. And scrawny, brown-looking leaves. Not what we had hoped for at all. We wondered if the grow tubes were the problem. One of our friends who manages a large vineyard, urged us to take the tubes off, warning that, in this heat, all we were doing was baking the vines. We did some investigating on our own, and much of the research we looked at suggested that the only reason for using grow tubes is to facilitate the use of herbicides – the tubes protect the vine while Roundup or something like that clears vegetation out of the rows of vines.